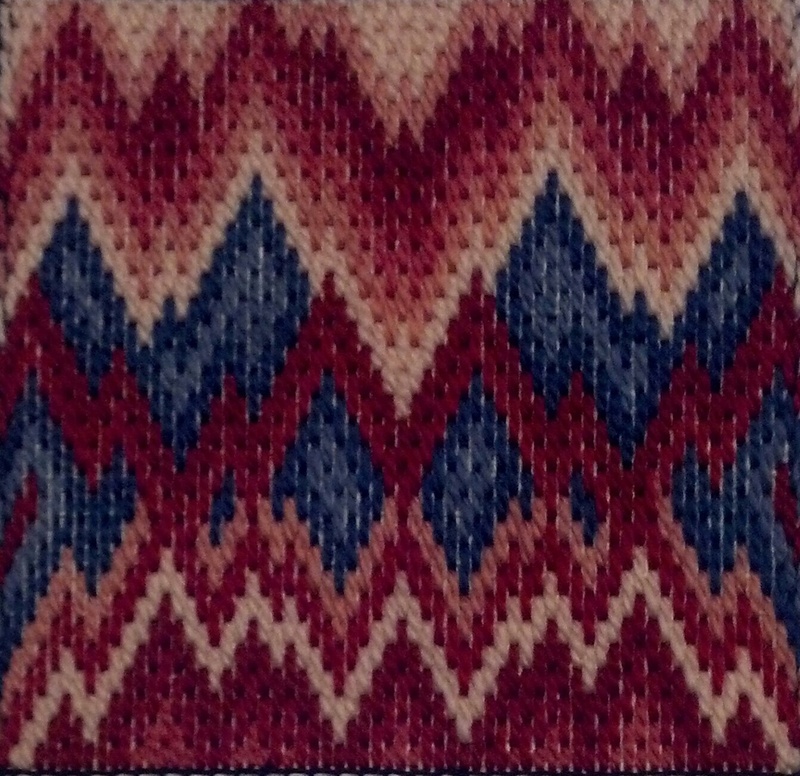 This stitched design used both blues. It works! But, I must say, it happened again. 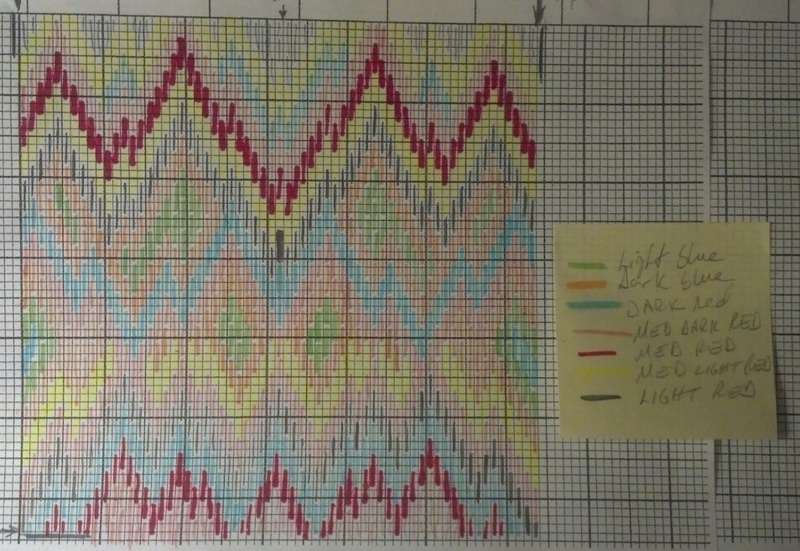 I had a heck of a time following my own pattern. It didn’t help that my color markers were random. But, I finally decided it was better to work the dark red rows along the middle then do the light red above it before tackling the blues. Liz provided great insights into Bargello. This was a fun project & the booklet will remain a great resource.